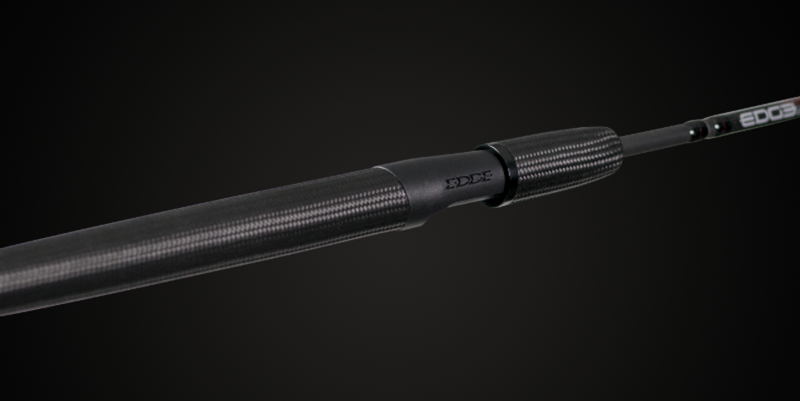 Our USA made, NFC, hand-sanded, naked-graphite blanks, do not hide blemishes and are on average 20% lighter than their coated counterparts. 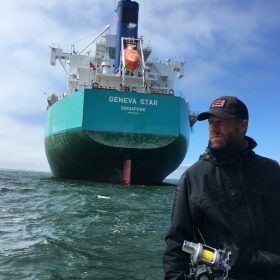 We hand-sand to avoid sanding into the fiber, damaging it and creating a weak spot. 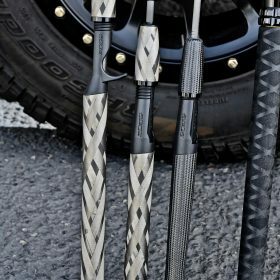 Our in-house custom braided carbon-fiber grips save weight, add “feel” transmission, performance, longevity, and ISR Casting models feature full grips, while spinning configurations are finished with full braided grips. 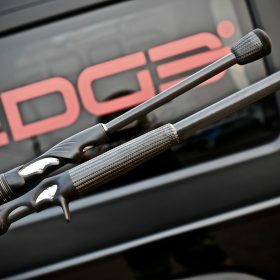 All models feature the patented EDGE Rods reel seats. 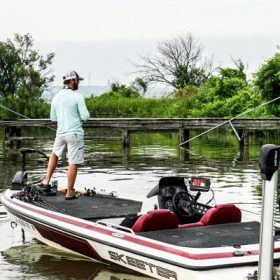 Our special offset ergonomic design, for our casting models lowers the reel position for better torque/rod roll control, increases casting accuracy, and enhances cradling of reel reducing wrist fatigue, allowing it rest in a natural position. 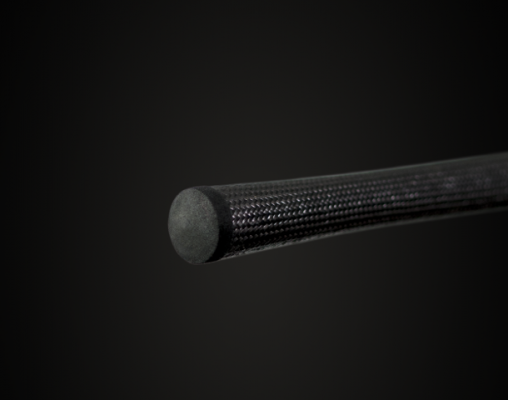 To improve the feel of rod sensitivity, a highly developed feel through reel seat is featured on the medium-light to medium heavy power rods, allowing direct finger to blank placement for maximum sensitivity when using our casting models. 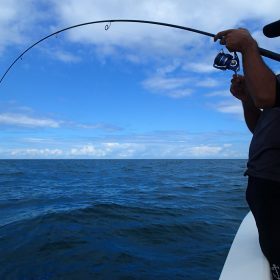 Proprietary lock-nut for a vice-like grip eliminates rocking reels. 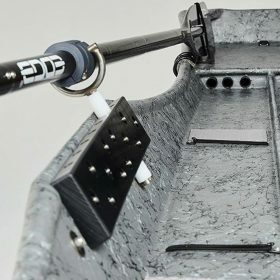 Minimum epoxy on guide feet reduces weight and impact to blank action. 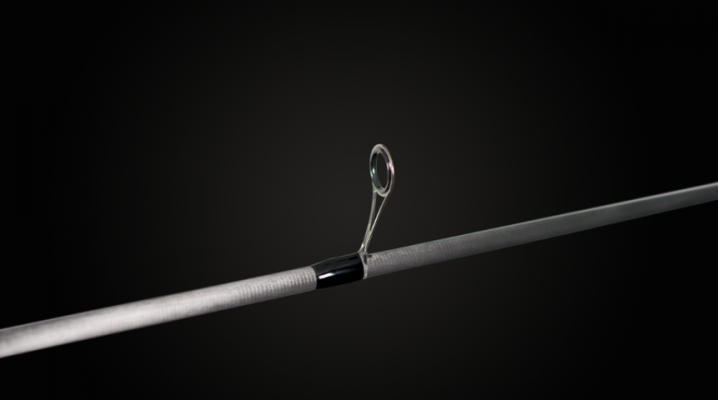 Titanium frame with Zirconium insert guides are corrosion resistant (saltwater) and 40% lighter than comparable guides. 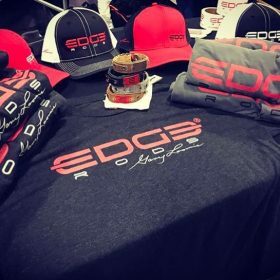 The EDGE ISR series delivers lightweight, responsive rods to fight the vast variety of saltwater and freshwater species with ease and comfort. All of our ISR models are built with softer tips to increase sensitivity on fast actions. These special designs built with LMX materials, protect bait, enhance the feel of the strike and aid in fighting fish. 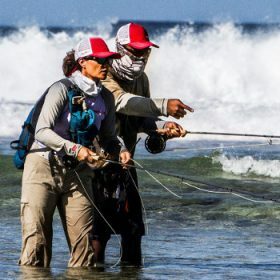 Our proprietary First Strike carbon-fiber grips and fine componentry make these light and strong rods the ultimate precision tool to stand up to the elements of the saltwater environment and spawn success on the water adding distinction to your collection. 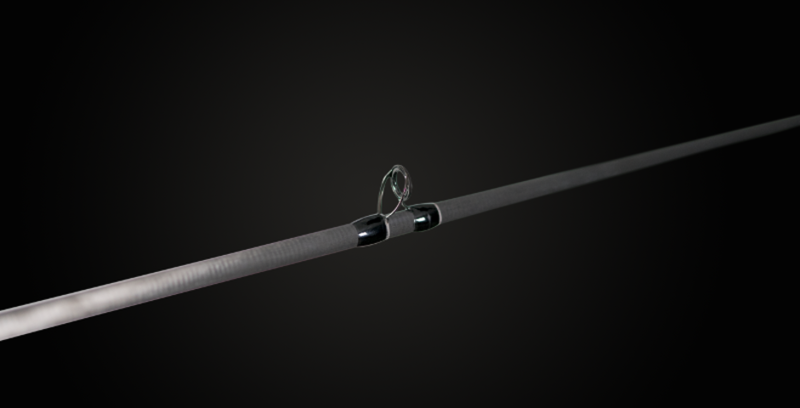 These rods are perfect for jigging as in the case of walleye, or inshore popping along the coast!